Another fun new WRBC thing this semester: New Music Mondays. We’ll be hitting you guys with what we’ve been listening to, collectively, as a station this week every Monday. Maybe this will manifest as a playlist series one day. Tune in! A few different things. 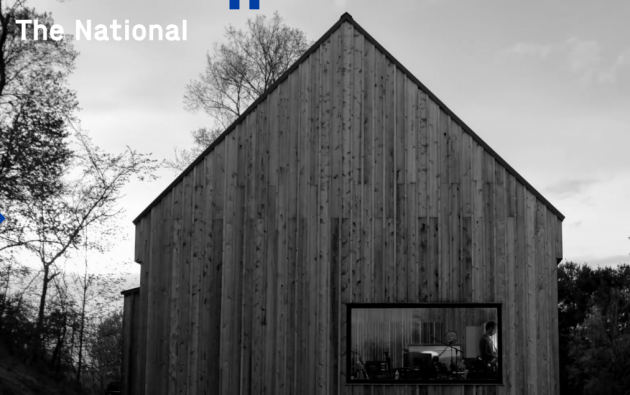 As a professional WRBC statement, we highly reccomend the new The National album, “Sleep Well Beast” (2017). Harry Meadows (’19), our resident ghost board member reccomends all the way from London, Lana Del Rey’s new album, “Lust for Life” (2017). “Sleep Well beast” has a complete, contained feel to it. There’s a lot of chaos in the individual songs, which isn’t very characteristic of the band, but they work together in a way that meshes nicely with the existing subdued lyric and tonal qualities typical of their music. The specific song we enjoy the most is “Carin at the Liquor Store,” named and written for Matt Berninger’s, Carin (who has apparently had her name spelled wrong since “Alligator” was released featuring the track, “Karen”). Both of these albums are pretty feelings-heavy, aptly reflecting the on campus mood on these strange autumn days, what is up with the weather? We reccomend a hot shower in the dark with these albums playing from a bluetooth speaker on repeat. There’s one or two songs you could sing to, but mostly we want you to mope.